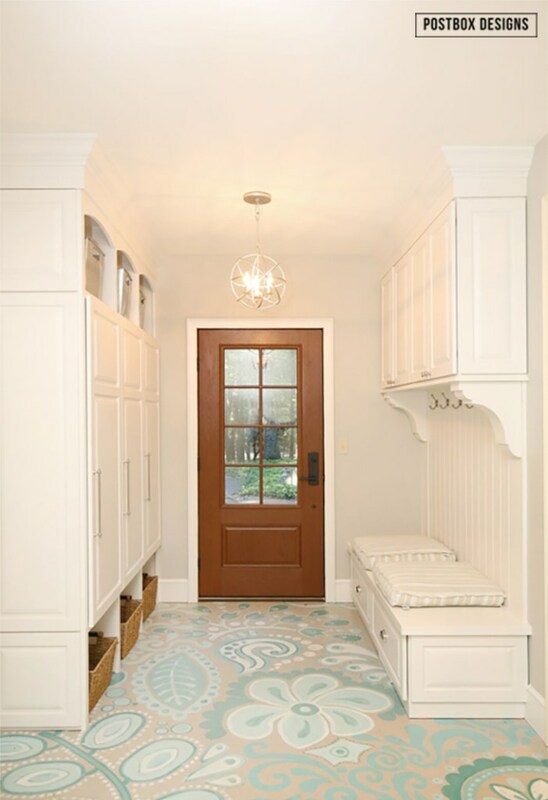 Looking to update your outdated floors with paint? 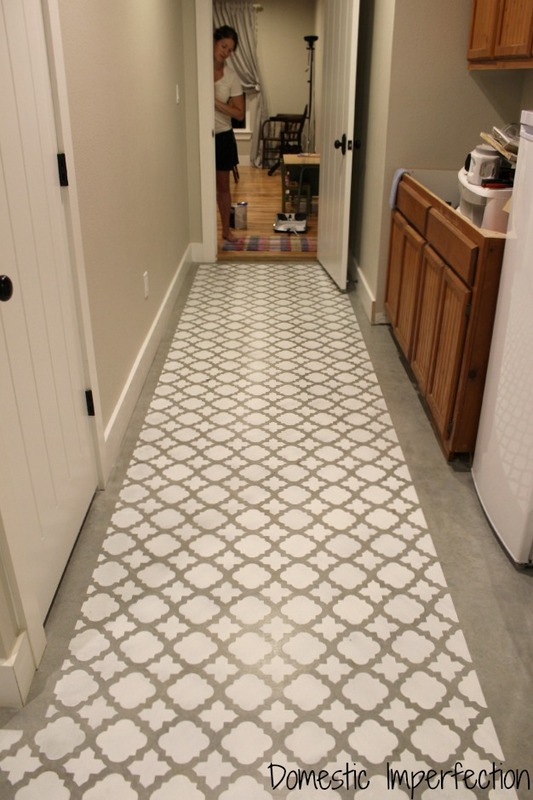 Check out these 25 DIY stenciled and painted floor tiles ideas and tutorials! 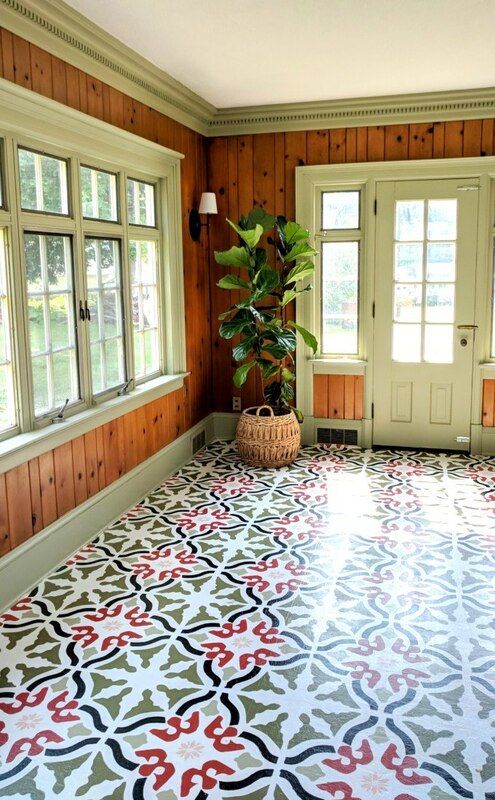 The resurgence of patterned tiles in home decor has been trending for several years now and remains strong in 2019! 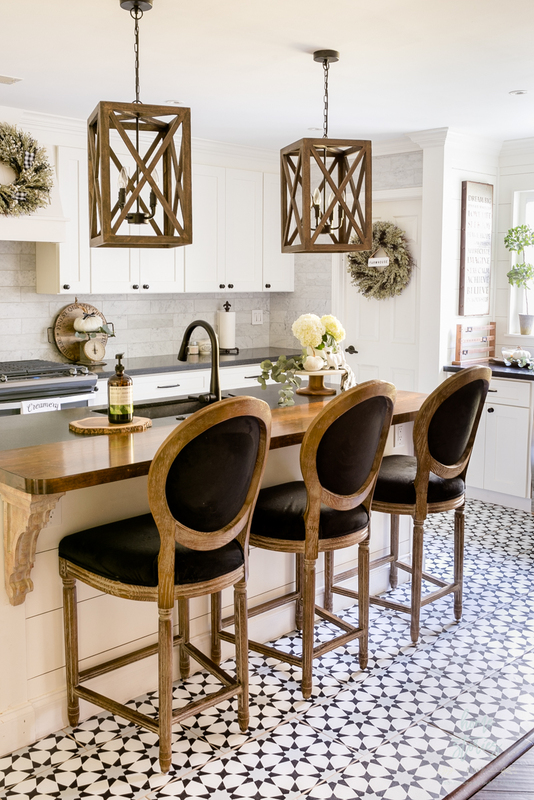 Incorporating classic tile patterns into your home is a gorgeous way to instantly elevate a space. 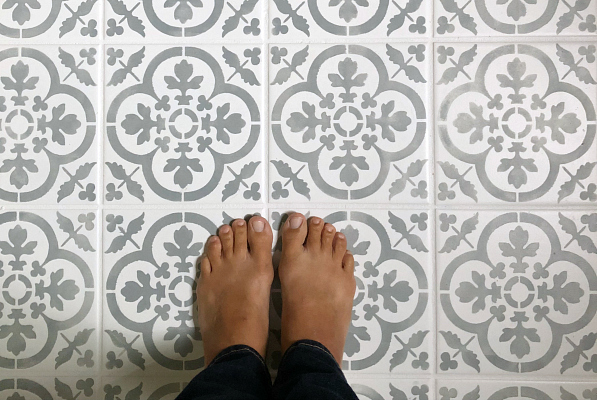 You can read all about my own installation of cement tiles in this post: Urban Farmhouse Master Bathroom Remodel. But what if you aren’t quite ready for the commitment, expense, and labor of replacing your current flooring? You paint over your existing floors, of course! 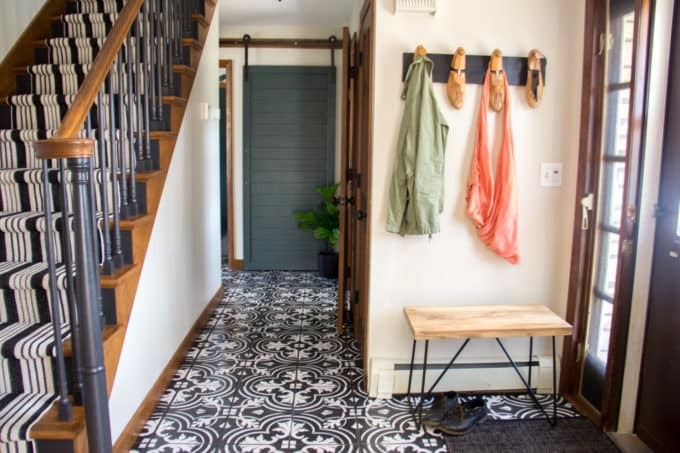 For years now, bloggers everywhere have successfully painted over their existing tile, wood, laminate, and concrete flooring and shared all of their best practices, paint tips, and full tutorials with you! I have rounded up 25 of my favorites for you here. What is the best paint to use on floors? The best type of paint to use to cover your flooring will depend on your floor type. Each project is unique, so be sure to click on the ones that interest you to gather as much helpful advice and inspiration as you can before starting your own project. All of the information about paint, stencils, and any other sourcing will be under each individual post. Simply click on the blue/gray titles next to each number to be taken directly to the original tutorial. Let’s get this floor painting party started! The projects are divided into the type of floor that is being painted: tile, wood, laminate/linoleum, and concrete. These tiles are the 12×12 travertine style tiles that were popular in the 90’s and early 2000’s. 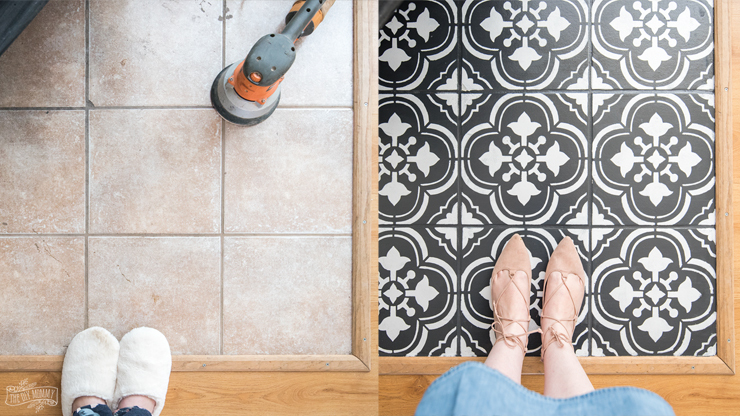 Update them easily with stencils that are exactly the same size as your tile! Score! 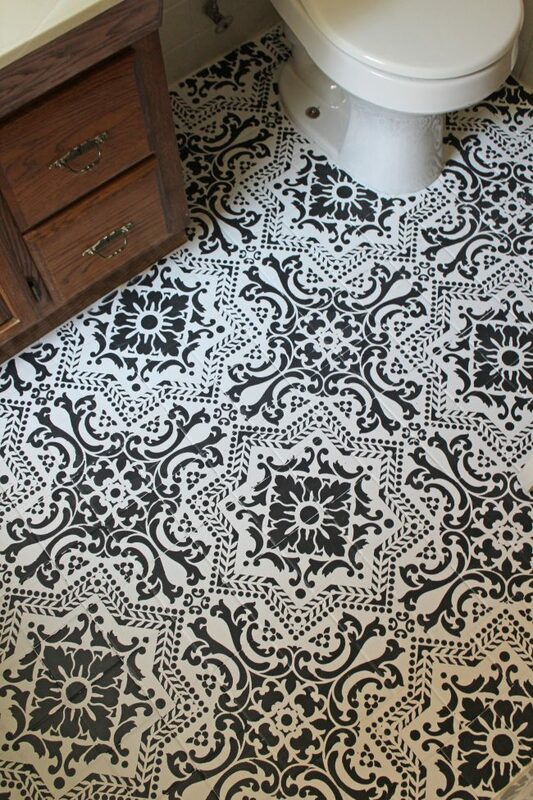 They transformed their bathroom floors from blah to ooh la la with this round stencil. This original flooring was 12×12 tiles, and they centered their stencil on the cross section of the tiles. Really unique! 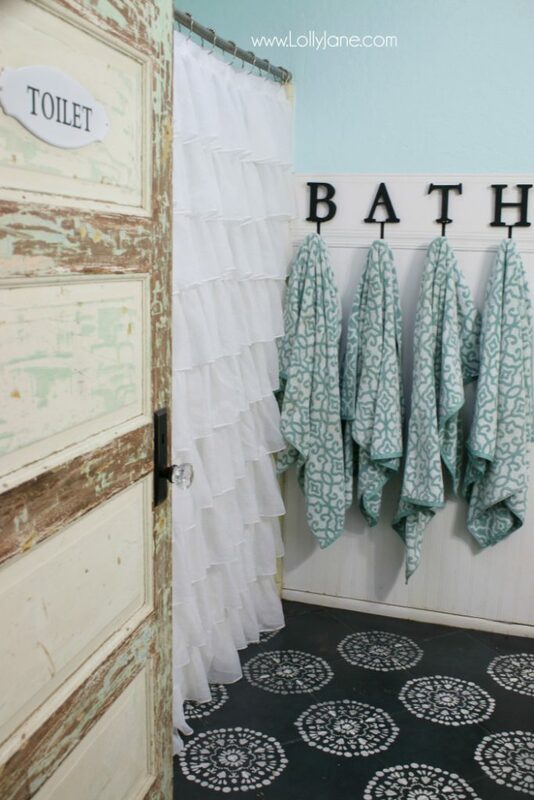 Lolly Jane has another recently remodeled bathroom that is just adorable as well. You’ll have to go see them both! Jessica had those brick-red colored tiles that were very popular in entryways. Look at them now! Gorgeous! 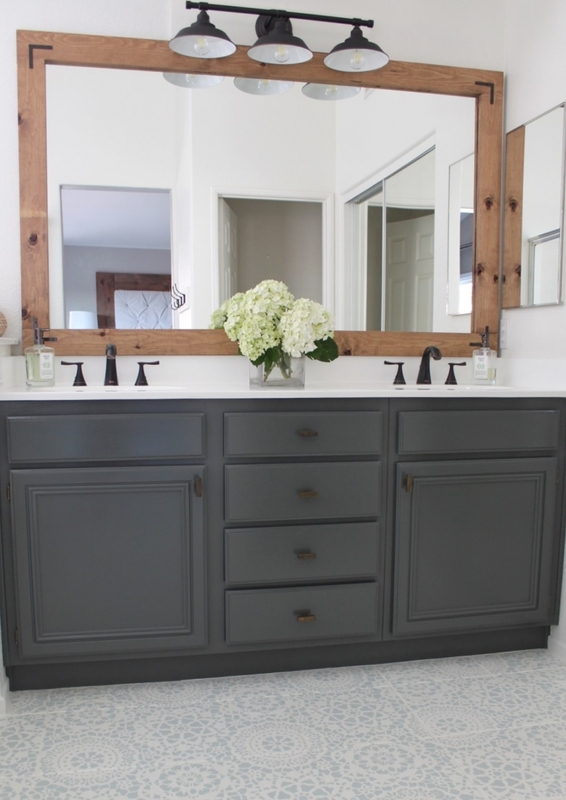 Kelly really stretched her budget in this total bathroom makeover by painting the floors and cabinet. Totally gorgeous result! 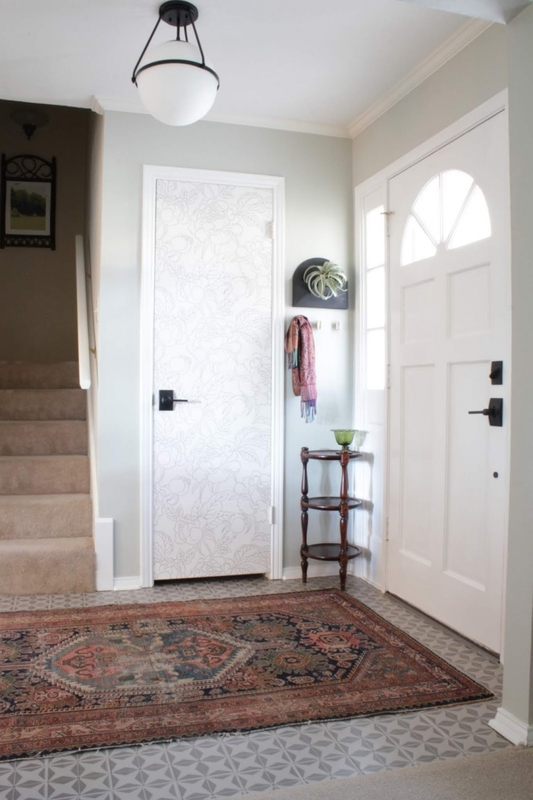 This lacy stencil was a different size than her tile, and the application is a bit different than some other tutorials. You’ll need to check this post out! Megan had those 1950’s floor to wall shiny tiles that she wanted to update to a more modern look. She chose an oversized stencil that looked really pretty on top of those smaller type tiles. 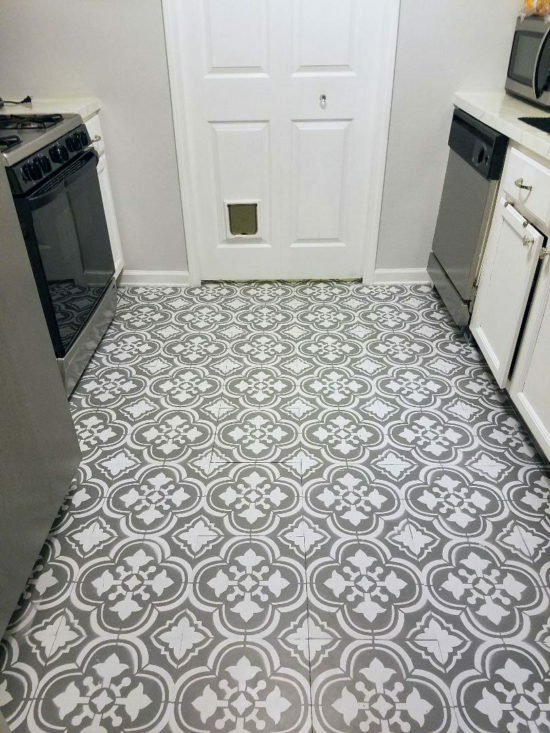 If you have similar tile, you’ll need to read her post! 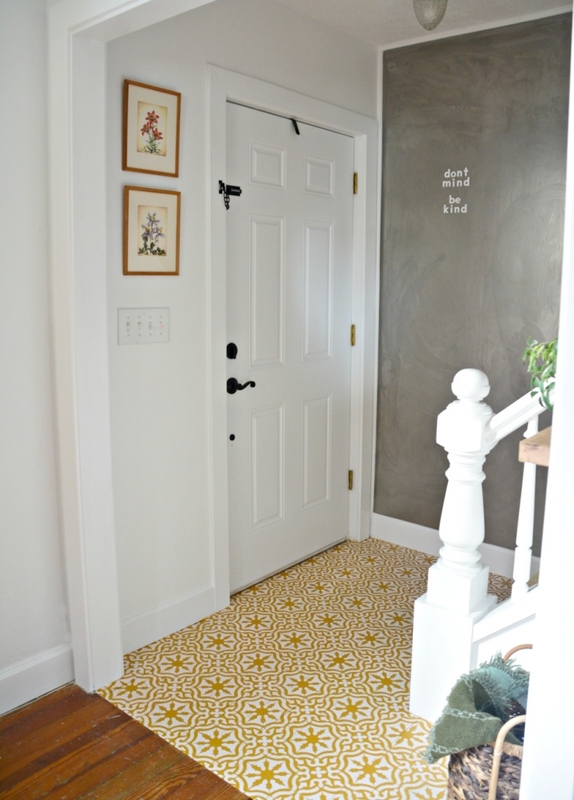 Erin had dark, shiny tile and has some very specific tips for painting over that type of tile. This post is for you if you are painting dark and/or shiny tile. This little nook in Christina’s home went from meh to yeah! 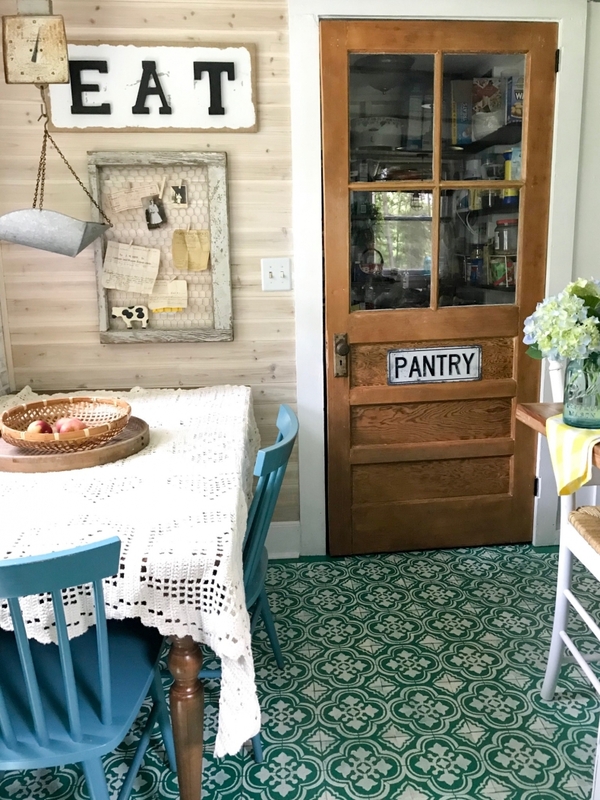 Farmhouse look on a budget. I love it! 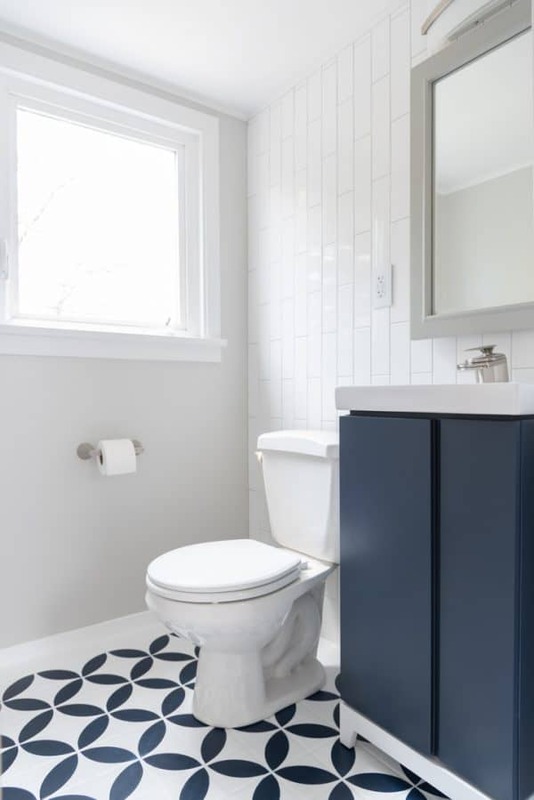 Vineta wanted the look of a bold tile at a traction of the price, and this project turned out great! She gave some great tips for painting over small tiles. You need to read this post before starting your project if you have similar tiles! Rhoda’s diamond shaped patio floor is so classic and gorgeous. These squares mimic the look of a fun, 1950’s diner. Tasha’s bamboo flooring was damaged, and she chose a modern stencil and went right over that damage with several layers of paint. Full tutorial in this post, and very helpful with anyone painting over wood flooring. 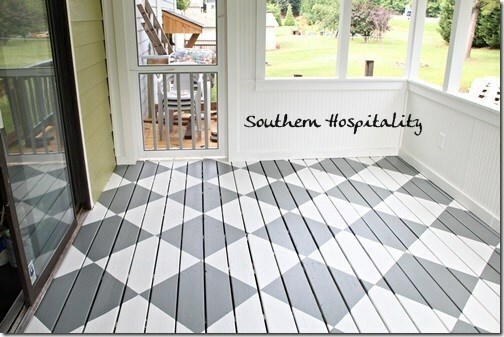 A different twist on a classic floor tile. This stencil was applied over 80 year old heavily damaged hardwood floors. 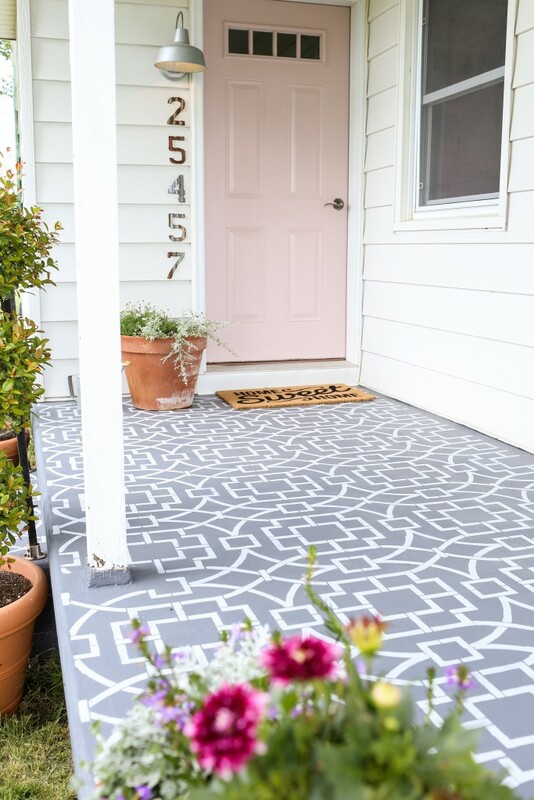 Kammy has really fun tutorials on her site, and this stenciled floor is a great example of her work. The mandala stencil is really pretty in this bedroom! These floors were badly damaged and over 100 years old. This update brought them back to life! Kayla made her own stencil for her project! This soft gray is so pretty in her bathroom. Show stopper! 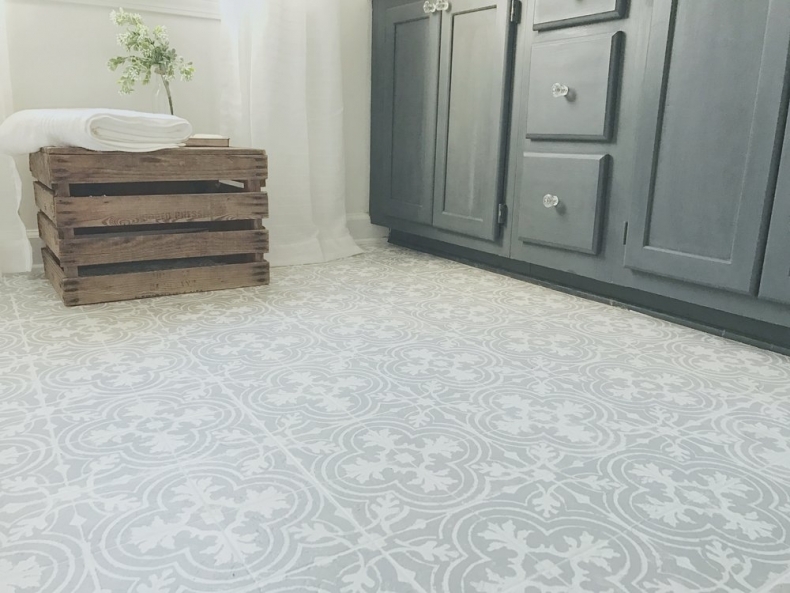 This laundry room floor was originally a standard type of beige linoleum, and look at her now! Gorgeous. 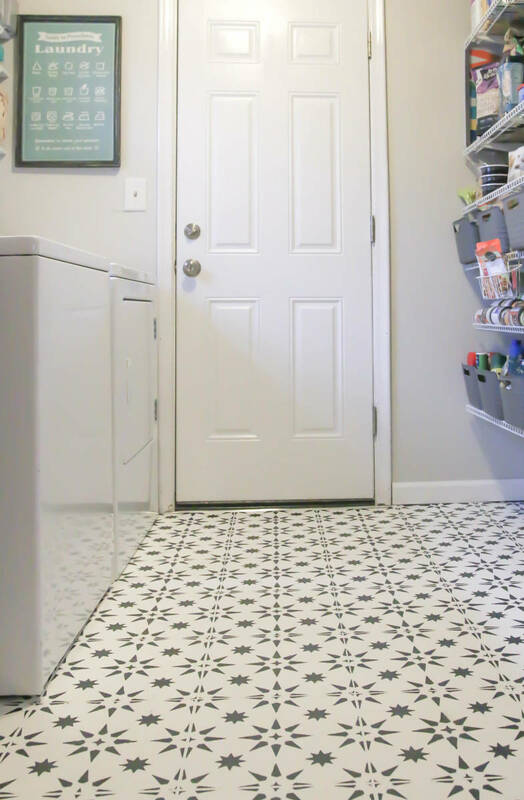 Sarah used a specific type of paint that is great for heavy traffic in her laundry room. 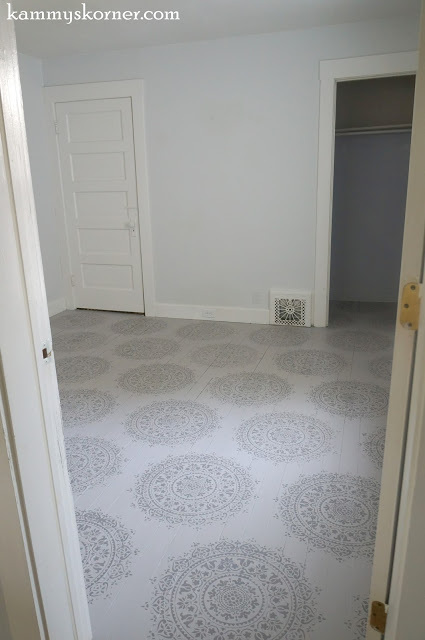 These old linoleum floors were transformed into light and bright! Bethany made her old floors absolutely gorgeous! Lucy from Craftberry Bush had large patio tiles that she painted to perfection! 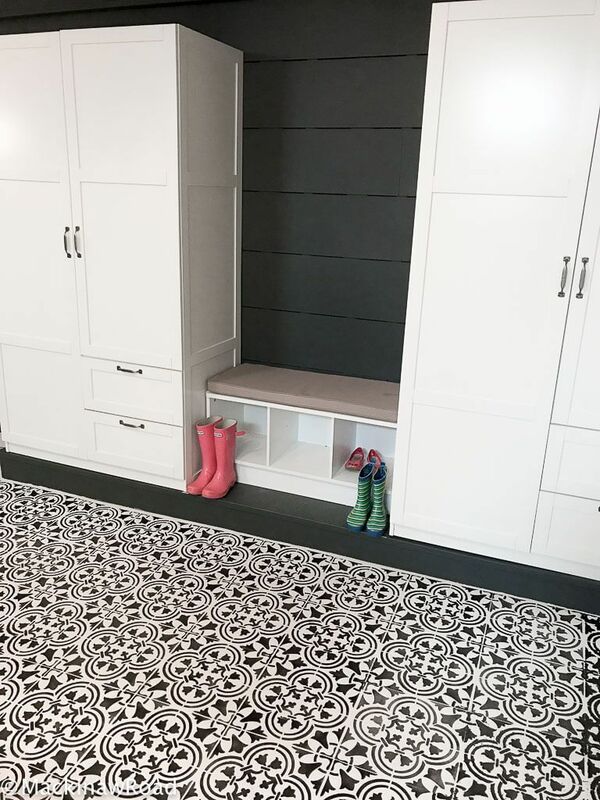 Kristin has three kids, a dog, and she promises they are hard on their floors and this gorgeous mudroom floor is still holding up several years later! 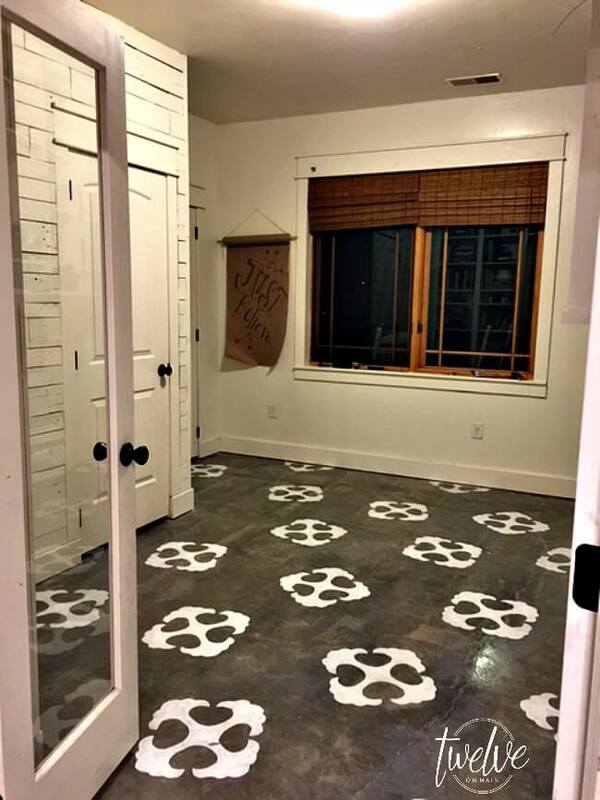 These floors are hand painted, but you could create something very similar for yourself! If you have concrete floors, this post is for you! This before and after is absolutely amazing! You need to go see the entire process! Sara made her own stencil out of cardboard! Unique, and very budget friendly! The floor is stenciled into the look of a runner. Isn’t that adorable? Ashley gives great tips on how to achieve this look with crisp lines. 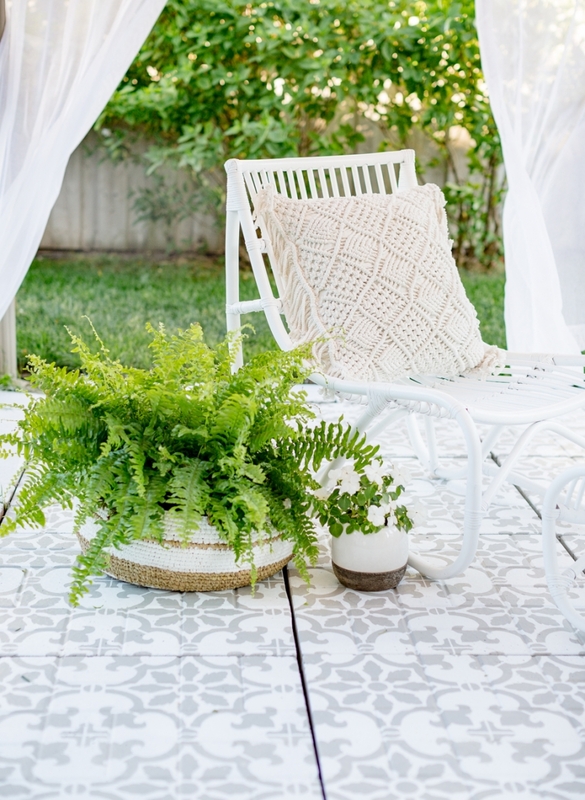 Becky really transformed her basic concrete porch into a gorgeous spot! What if I don’t want the hassle of painting? I hear you! I didn’t either, so I opted for a more expensive but highly convenient option—floor stickers! I ordered these custom-made floor stickers for our kitchen on etsy and six months later they still look beautiful and are working well for us. 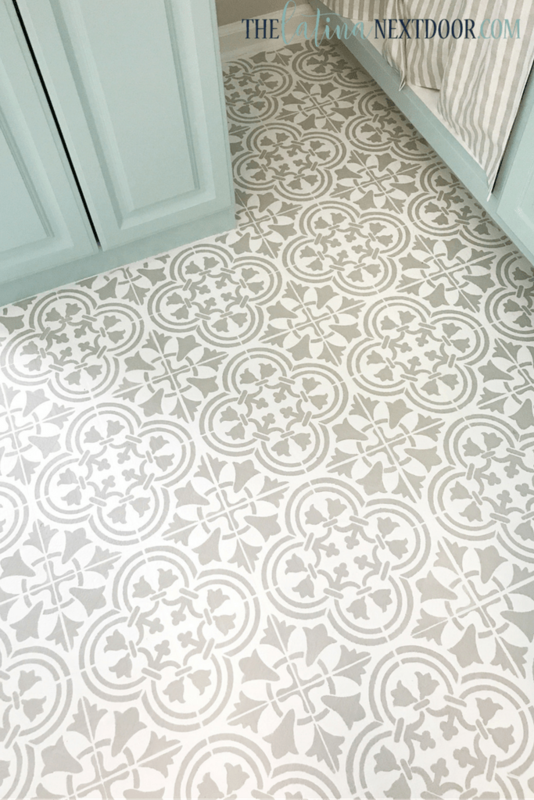 You can read all about them here: Get the Cement Tile Look for Less: Peel & Stick Vinyl Sticker Flooring. Thank you friend for sharing my porch diamond floor! 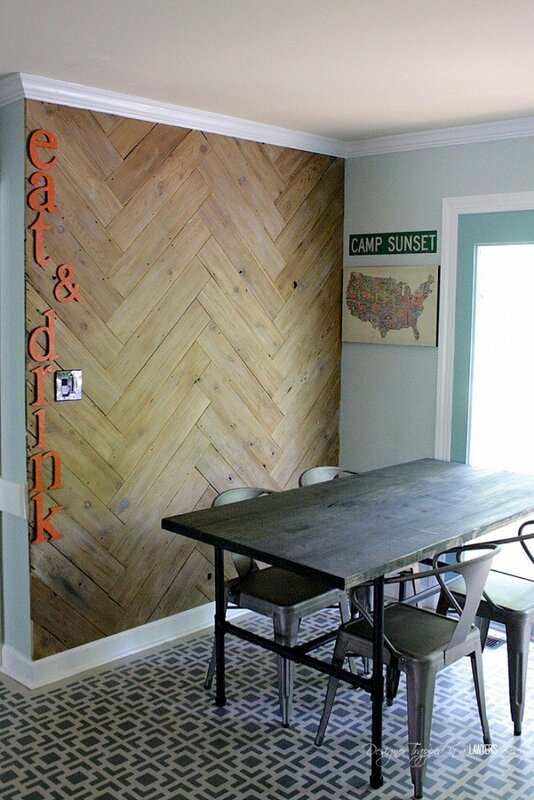 All of these are jaw dropping beautiful, great ideas for stenciling on anything. I’ve got a laundry room I want to spruce up so I’m taking notes. Thank you for sharing our entry way! It love how it turned out! Thankful to share it.